“Attenborough´s Life that Glows” is a brilliant nature documentary about bioluminescent creatures. I´m not sure how “informative” it really is, but it´s certainly aesthetically pleasing. With the help of specially developed cameras (c/o Martin Dohrn), Attenborough and his team have been able to film bioluminescent bacteria, worms, fish, squids and, of course, fireflies. Many of the creatures are borderline bizarre, and their collective displays are something to behold – almost like an aurora, but in the sea rather than the skies. The footage of dolphins swimming through glowing water might become a classic. There is clearly still much to be discovered (if that interests you). Thus, a common species of earth worm found all over France turned out to be bioluminescent – nobody had noticed before, for the splendidly obvious reason that nobody had been digging for the worms at night without a flashlight (or at all)! Their ability to produce light was discovered purely by chance. 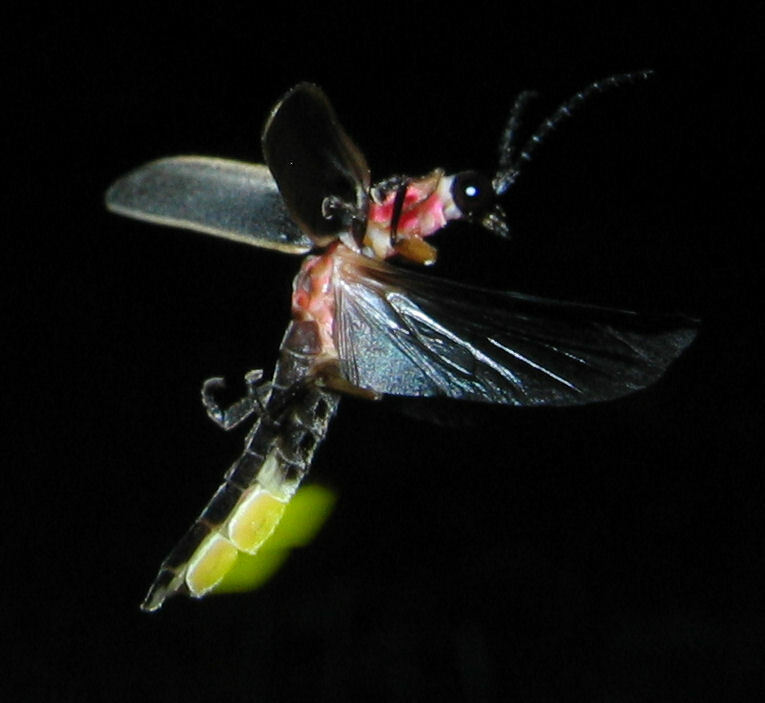 Another weird scenario shown in this production is a species of predatory firefly that literally steals dying fireflies from spider webs, much to the chagrin of the spiders – the dying insects emits light to the bitter end, which makes it possible for the predatory species to see both them, the web and the spider, thereby not risking to get caught in the web herself. I often wax philosophical watching documentaries like this (did bacteria develop bioluminescence before anyone else was around to actually see it?) and as usual, I find it difficult to believe that evolution is “blind” and “mechanical”. We´re dealing with some kind of force field here… Also, why go to outer space when the deep blue sea isn´t properly mapped yet? With those comments, I close this little review!